A new, lengthy piece by Gabriel Sherman in this week's New York magazine about the current struggles at NBC news reminds us of one thing: Matt Lauer might be very good at playing himself on Unbreakable Kimmy Schmidt, but he is still a jerk in all the ways many network personalities are. 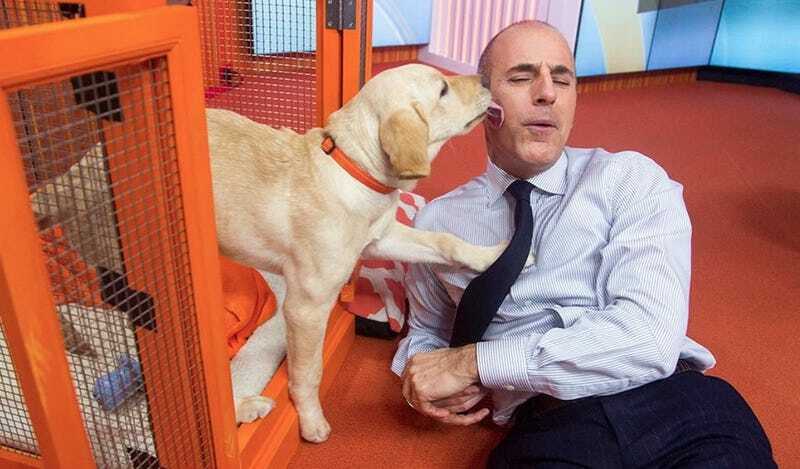 Producers began to grumble that Lauer was preventing Today from evolving. When Fili-Krushel proposed installing a troika of female producers to oversee the show, Lauer and Guthrie nixed the plan. "This is like Lilith Fair," Lauer complained to a senior producer, according to a source, referring to the '90s all-female rock festival.